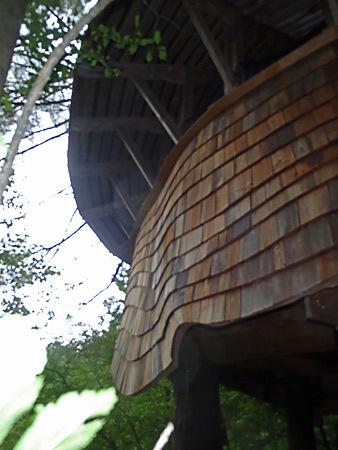 Yestermorrow Design/Build Warren, Vermont – In the Summer of 2000, the Yestermorow Design/Build School received a most unusual phone call request from Bill Allen, a Make-a-Wish Foundation board member, who said he wanted to build a wheelchair accessible Treehouse and wondered if the school would be able to help! 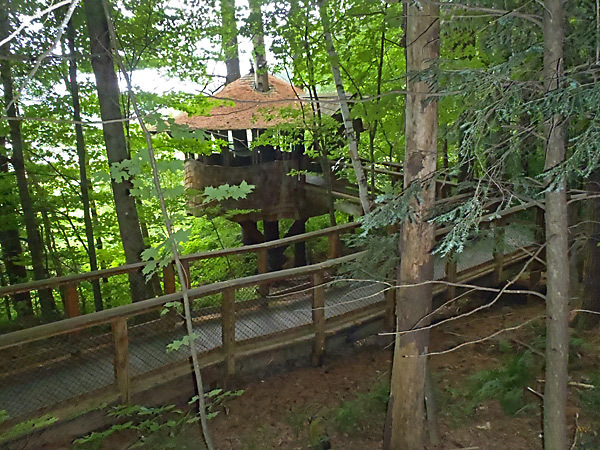 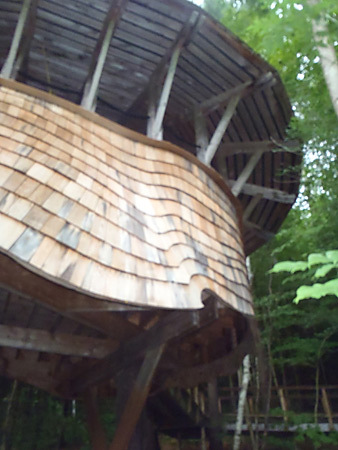 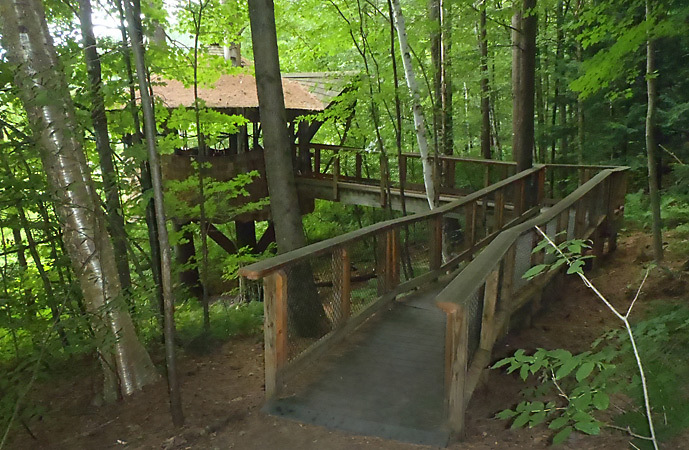 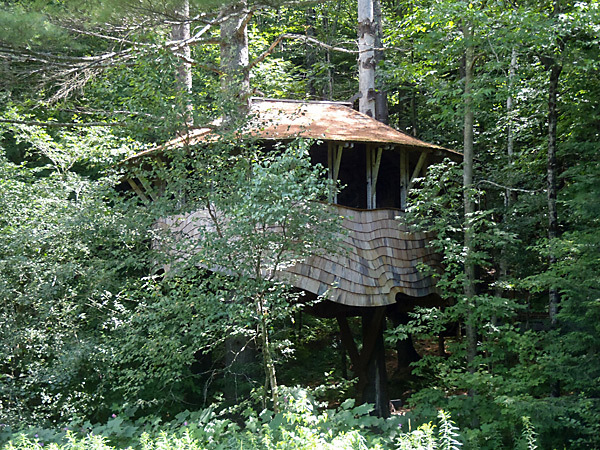 Thankfully, the school responded with the offer to provide a site on the school’s grounds for building the prototype for what would become the world’s first universally accessible Treehouse that Fall! 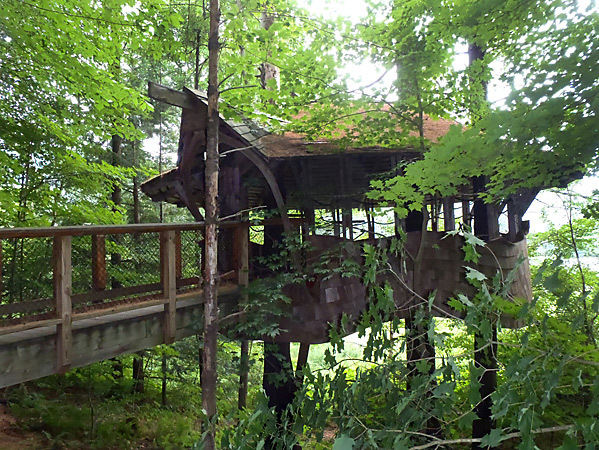 Bill and his close friend and co-founder, Phil Trabulsy, would then go on to form the non-profit organization – Forever Young Treehouses… 11 years and 18 States later, that brilliant idea has produced more than 30 Treehouses and countless joy for people of all abilities!